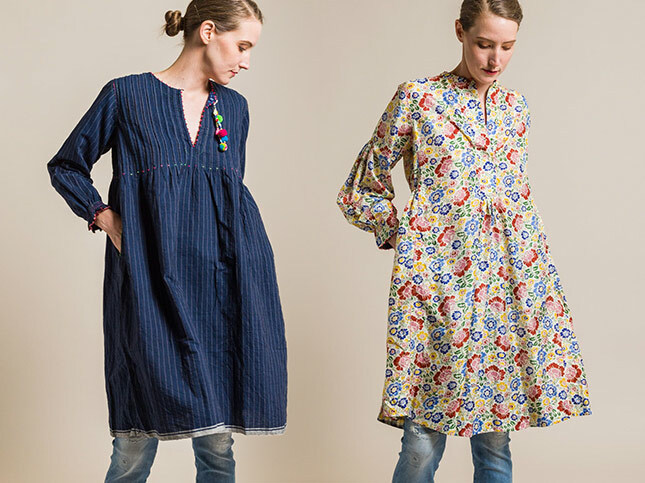 Now available online, new Péro by Aneeth Arora. The second shipment of Péro from their Fall/Winter 2017 collection has a collection of patterned tops and striped jackets in orange, navy, and white covered in their signature detailed work. The line is sold online and in Santa Fe Dry Goods on the Plaza in Santa Fe, New Mexico.